Employment Practices Liability insurance is a coverage plan for employers to safeguard their financial concerns arising from claims made against them by employees. 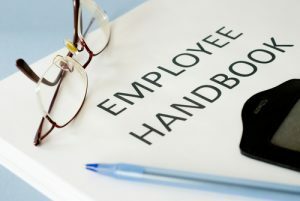 Generally, referred to as EPLI, these insurances are to cover the employer in events of allegations raised against the employer or the company on issues such as employment malpractices, sexual harassment, and wrongful or forced terminations. Regardless of the size of the organizations most of them apply for EPLI to safeguard the organizational interests in case of an employment lawsuit. The organization practices the best legal approach to avail the employment liability insurance for just about any trial. However, most newly established organizations or those firms that do not have a proper legal system in place to understand the consequences of a lawsuit are left open to employment claims. Such companies further jeopardize their financial stability by not having the legal knowledge regarding the policies that are in place by the law on employees right. This lack of knowledge and not having insurance protection keeps the new businesses vulnerable against employees lawsuits. An organization hires thousands of employees, and the risk of any claim starts right from the interview and recruitment process. A rejected applicant has the legal right to raise a lawsuit against the organization on the conduct of hiring interview, or the behavior of the interviewer. Employees are given the legal rights to take the employers to the courts in any case of discrimination. However, employees may also exploit this privilege by raising false lawsuits with corrupt intentions. For example, an organization may find itself in a legal predicament where it rightfully terminated an employee but then receive a legal claim from the employee of wrongful dismissal or forced termination. The organizations must maintain a strong employment practices liability insurance. They must have a competent insurance agent and list down all probable lawsuits and adequate coverage against all such claims. A proactive approach keeps the company protected in situations of sudden lawsuits arising from necessary termination, or disciplinary actions against the employees. The organization must declare its code of conduct in print, after having it legally scrutinized by lawyers. The system of conduct should cover all employment policies including hiring, workplace procedures, attendance and, workplace complaints. It should include the HR policies on equal employment opportunity declarations. These documents are of legal consequences and protect the organization in case of legal claims raised by employees. The organizations must design detailed job description and expectation from the employees regarding discipline, job performance, and conduct. It is also important to maintain separate files for each employee and note any details relating to the employee performance in it. Developing a proper screening and recruitment system helps organizations to remove unsuitable applicants and avoid calling unqualified candidates for interview. While designing a job announcement getting it legally vetted before making it public will make the job announcement legal and the organization will not be held liable to discrimination claims. Any organization, no matter, if it is a small concern or a big company, must not shy away from holding a comprehensive insurance coverage. This is one investment that can potentially save an organization financial credibility against a lawsuit by employees. The premium and cost of EPLI coverage depend on many things such as the size of the organization, the strength of the workforce, and history of the company against any previous lawsuits raised by employees. The primary EPLI plan offer to organizations is the Business Owner’s Policy Plan refer to as BOP, a General Liability Policy Plan (GL), or a specific stand-alone policy in collaboration with the BOP plans. The above-mentioned plans offer different coverages to organizations. It is pertinent that the EPLI plans are renewed in case of its expiry as any claim will be covered if it is within the tenor and validity of the policy.